Cost of Thermal Noise Suppression published in J. Phys. A. Thermal noise suppression: How much does it cost? In order to stabilize the behavior of noisy systems, confining it around a desirable state, an effort is required to suppress the intrinsic noise. This noise suppression task entails a cost. 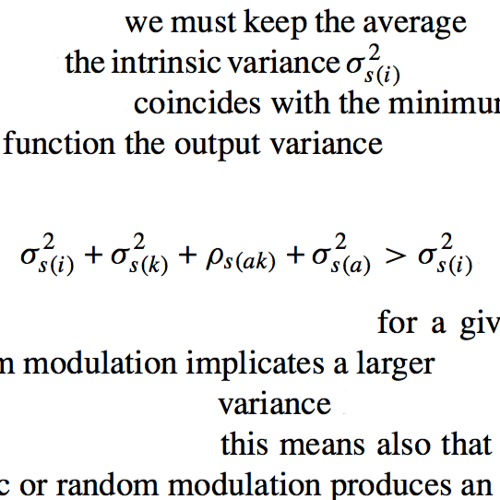 For the important case of thermal noise in an overdamped system, we show that the minimum cost is achieved when the system control parameters are held constant: any additional deterministic or random modulation produces an increase of the cost. We discuss the implications of this phenomenon for those overdamped systems whose control parameters are intrinsically noisy, presenting a case study based on the example of a Brownian particle optically trapped in an oscillating potential. Posted on February 4, 2009 June 8, 2018 Author adminCategories ArticleTags Dmitri Petrov, Giovanni Volpe, J. Miguel Rubi, Jan WehrLeave a comment on Cost of Thermal Noise Suppression published in J. Phys. A.